Saturday, April 27, at the Berkshire Museum, 39 South St., Pittsfield, Mass. The Ted Rosenthal Trio returns to Pittsfield with a unique program that demonstrates the influence that classical music has had on the modern music scene. He performs a creative and insightful program that includes joint numbers with the Elayne P. Bernstein Octet, the advanced strings ensemble from Kids 4 Harmony. The program is presented in partnership with the Berkshire Museum, and is part of ArtWeek, a celebration of the rich cultural offerings found throughout the Commonwealth of Massachusetts. 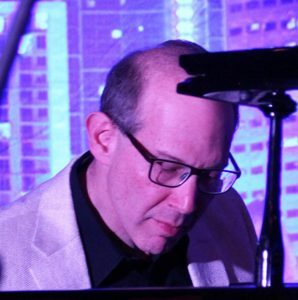 Ted Rosenthal is an iconic jazz pianist, and has performed worldwide, both as a leader and as a sideman with many jazz greats, including Gerry Mulligan, Art Farmer, Phil Woods, Bob Brookmeyer, and Jon Faddis. His classical/jazz crossover performances include solo and featured appearances with the Boston Pops, the Baltimore Symphony, the Kansas City Symphony, and many other orchestras. His work includes adapting themes by Brahms, Schumann, Tchaikovsky and others into a mainstream jazz idiom. Local audiences are still talking about his interpretation of “Rhapsody In Blue” at the Berkshire Museum last year. The Elayne P. Bernstein Octet is a group of student musicians in elementary and middle schools. The octet is the most advanced ensemble in Kids 4 Harmony, which is operated by Berkshire Children and Families. Members have appeared in large and small events from Boston to Los Angeles, including the national Take A Stand Orchestra under the baton of maestro Gustavo Dudamel. In addition to participating in ArtWeek, the program is our contribution to Jazz Appreciation Month, a nationwide initiative of the Smithsonian Institution, and recognized by Congress in 2003.
the 15th annual Pittsfield CityJazz Festival in October. TONIGHT! Saturday, Feb. 16, 7:30pm. Whitney Center for the Arts, 42 Wendell Ave., Pittsfield, Mass. We are pleased to announce “Ten Approaches to Love and Life,” a Valentine’s weekend performance by the Matt and Atla DeChamplain Quartet. When the calendar says February, many thoughts turn to Pittsfield’s popular “10×10 Upstreet Arts Festival,” which will take place Feb. 14-24. We know…that’s 11 days, but the first day is a bonus. This special program is our contribution to the festivities, and given the date, it’s logical to have a Valentine theme. The band’s setup –piano, bass, guitar and voice—is perfect for the warm acoustics of the Whitney Center for the Arts, the home of so many creative performance events. Since their sold-out performance at Flavours two years ago, fans have been clamoring to bring Matt and Atla back, and we’re delighted to present them on Feb. 16 in this new setting. Come, enjoy the adventure. Tickets are $25 in advance, $30 on the day of the event. Light bar snacks and cash bar will be available. Seating is limited, don’t miss out. The online box office is closed. Tickets will be available at the door starting at 7pm. We are pleased to announce the lineup for the 14th annual Pittsfield CityJAZZ Festival, Oct. 5-14, a cultural highlight of the Fall Foliage season in western New England. Highlights include the annual “jazz crawl,” a jazz prodigy concert; headline performances featuring Veronica Swift (Oct. 12) and Christian McBride’s New Jawn quartet (Oct. 13); jazz brunches, and more. Box office activity is heavy for both of the ticketed events. The events all take place within the Upstreet Cultural District, Pittsfield, Massachusetts’ downtown corridor that is rich with visual and performing arts activities, restaurants, lounges, and other cultural attractions. Things kicked-off on Columbus Day weekend, Oct. 5-7, with Jazz About Town, the annual jazz crawl featuring local musicians in restaurants and lounges. The holiday weekend continued with a brunch on Oct. 7 at Dottie’s Coffee Lounge, featuring Nico Wohl and Andy Wrba. Festival activities resumed mid-week with the Jazz Prodigy concert, on Wednesday, Oct. 10, 7pm, at the Berkshire Athenaeum. The free concert, sponsored by the Friends of the Athenaeum, introduced the remarkable bassist Gabriel Severn to Berkshires audiences. He was backed by Eugene Uman, piano, and Conor Meehan, drums. Snippts are appearing on Facebook…check them out. 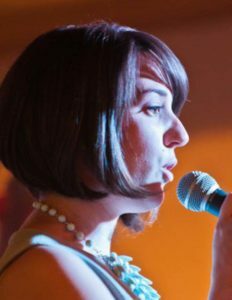 The fast-rising vocalist Veronica Swift opens headline weekend on Friday, Oct. 12, with the Berkshires Jazz All-Star Trio in a dinner/concert at Legion Hall, 41 Wendell Ave. Tickets are $25 for the concert, which starts at 8pm (optional Italian dinner is $17, including tax and gratuity (dinner available starting at 6:30). Cash bar will be available. Tickets are available here. 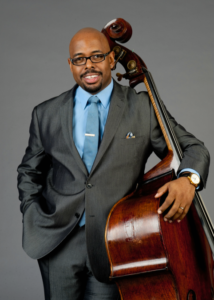 Christian McBride’s New Jawn quartet caps the festival in a 7:30pm concert at The Colonial Theatre, 111 South Street. The Berkshires Jazz Youth Ensemble, a curated big band comprising students from Herberg and Reid Middle Schools, will open for McBride. Tickets are $25 and $38. The festival concludes with a jazz brunch on Sunday, Oct. 14. Ticket information and the online box office can be found at www.BerkshiresJazz.org. Award-winning 13-year-old electric bassist Gabriel Severn began playing at age 7, but was already drawn to the bass by age 2. As a toddler, he’d point the bass out at performances and festivals while watching his dad play. It was then that he developed an ear for Jaco Pastorius’ music, and loved listening to bands such as the Yellowjackets and Weather Report during car rides. In 2012, at age 7, Gabriel began private lessons, and 4 months later joined his first band. He received international recognition when his video performing Jaco’s solo on Havana at age 11 went viral, setting the wheels in motion for a possible professional career. He has won a Down Beat Magazine award for student composition. He will appear with local musicians Eugene Uman on piano and Conor Meehan on drums. At age 24, Veronica Swift is being recognized as one of the top young jazz singers on the scene. She performed at Jazz at Lincoln Center at age 11, as part of the “Women in Jazz” series at Dizzy’s Club Coca-Cola. She won second place at the prestigious Thelonious Monk Jazz Competition in 2015, and her album from that same year, “Lonely Woman,” features some of the hottest young jazz players on the scene including Emmet Cohen, Benny Bennack III, Daryl Johns (with whom she shared the Grammy Choir/Band experience), Matt Wigler, and Scott Lowrie. She moved to New York City in 2016 and almost immediately started performing every Saturday night at the legendary Birdland Jazz Club, a gig she continues to maintain when she isn’t on the road. Earlier this year, she appeared in Jazz at Lincoln Center’s reprisal of the famous Benny Goodman Carnegie Hall concert. 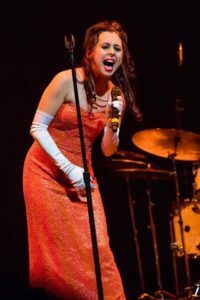 In addition to performing the Great American Songbook and bebop and vocalese classics, Swift is also a passionate devotee of 20s and 30s music. Last year at this time, she was on tour with Chris Botti in California. Here in Pittsfield, she will appear with the Berkshires Jazz All-Star Trio: Benny Kohn, piano; Mary Ann McSweeney, bass; and Conor Meehan, drums. Six-time GRAMMY-winning jazz bassist Christian McBride has been likened to a force of nature, fusing the fire and fury of a virtuoso with the depth and grounding of a seasoned journeyman. Powered by a relentless energy and a boundless love of swing, McBride’s path has described a continuous positive arc since his arrival on the scene. With a career now blazing into its third decade, and recordings as both a sideman and leader numbering more than 300, the Philadelphia native has become one of the most requested, most recorded, and most respected figures in the music world today. The consummate jazz educator and evangelist, McBride often leads the ensemble at Jazz House Kids in Newark, NJ, and is the voice of the syndicated NPR program “Jazz Night In America,” and hosts his own show on Sirius/XM. In 2016, he was named creative director of the Newport Jazz Festival. His New Jawn Quartet comprises Josh Evans, trumpet; Marcus Strickland, saxophone; McBride, bass; and Nasheet Waits, drums. Their first CD, “Christian McBride’s New Jawn,” will be released in October, shortly after the Pittsfield CityJazz Festival. The festival is made possible thanks to sponsorships from the Feigenbaum Foundation, Greylock Federal Credit Union, Massachusetts Cultural Council, and private donations. Click here for our online box office for Veronica Swift’s concert on Oct. 12. The Colonial Theatre is also selling tickets for Christian McBride (Oct. 13) online (click here). You can also order them by phone at 413-997-4444 (saving the transaction fee vs. ordering online), and at The Colonial Theatre’s walkup box office at 111 South Street, Pittsfield, during regular operating hours. Berkshire County has a long-standing reputation as a hot-bed of jazz talent, going back nearly 75 years to Music Inn, and now being revived throughout the region. Dozens of world-class musicians, many of whom could easily establish careers in jazz havens like New York, Chicago, New Orleans or San Francisco, live here because this is where they want to be. You can find them in clubs and lounges on many weekends, but rarely on a main stage, especially those from the more rural areas. This is somewhat ironic. The performing arts represent the heart of the Berkshires; the area is swarming with creativity. And yet, despite signature jazz festivals that feature headline talent during the shoulder season (e.g., the Berkshire Gateway Jazz Weekend each June, and Pittsfield CityJAZZ Festival in October), there is no main-stage jazz event during the high tourist season –and none at all that showcases the rich variety of local talent who call the Berkshires home. That all changes on August 25. As a county-wide organization whose mission includes promoting the local jazz scene, Berkshires Jazz addresses this longstanding oversight by showcasing a panoply of the highest-quality regional jazz artists in a one-day outdoors festival at the Pittsfield Common. Free to the public, the first annual Berkshire Jazz Showcase (1-6pm, Saturday, Aug. 25) will include 5 bands, food vendors, a beer and wine garden, and the adjacent playground and “splash park”. Bring blankets or chairs. And, come early, the Pittsfield Farmer’s Market will be in full swing until 1pm. As hot as jazz gets, the internationally renowned Laroo/Byrd Quartet makes its Berkshires debut on Saturday, July 14 with a dinner show at our newest popular venue, American Legion Hall. An optional dinner buffet makes for a complete evening’s entertainment. Dinner starts at 6:30pm; show at 7:30. Tickets are on sale now, click here for details. 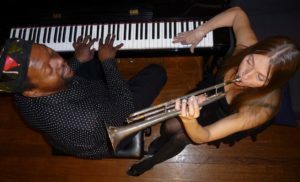 Having appeared here in Pittsfield as part of the Latin Jazz Trio some 10 years ago, the monster pianist Warren Byrd returns in a new quartet configuration with his wife, the trumpeter and saxophonist Saskia Laroo. The Laroo/Byrd Quartet (or “4tet,” as it is often called) is the transmutation from their popular duo configuration into a full band with added bass (Rick Rozie) and drums (Jocelyn Pleasant). Hailing from Hartford, Connecticut, Warren Byrd is a pianist/vocalist with a long list of international credits , tours, and celebrated work. Though earning a full scholarship for a voice major at Hartt College of Music, he chose to focus on jazz piano and composition, emerging primarily self-taught. His work is a testament to his gifts: freelancing with such notables as Archie Shepp and Eddie Henderson to leading Gospel choirs to composing for theatre and dance. He is co-founder/leader of Duo Laroo/Byrd and the Afro-Semitic Experience, performs as a freelancer, with Saskia’s other groups, as a solo pianist and with his own Byrdspeak Ensemble. A native of Amsterdam, Saskia Laroo is a premiere figure in music and one of the finest female trumpet players in the world. She began playing trumpet at age 8, and as a teen picked-up cello and guitar. Though first enrolling as a Mathematics major in college, she switched to music, graduating from the Muziekacademie of Hilversum. Versatility has propelled her illustrious career, from barnstorming with Latin, jazz and pop bands, to collaborations with legends such as Hans Dulfer and Teddy Edwards. She released her first CD, “It’s Like Jazz” in 1994 under her own label Laroo Records. Since, she has produced seven CDs and a DVD varying from classic jazz to Club-influenced acid jazz fusion. She has performed worldwide in hundreds of settings. Concert tickets are $25 in advance, $30 on the day of the event. The optional dinner buffet is highlighted by Brenda Torchio’s renowned chicken picatta. $17, including tax and tip, but please make your reservations in advance. Our annual jazz crawl, part of the 2017 Pittsfield CityJAZZ Festival. Sub-optimal audio in some instances, but a good sense of the variety of local artists being presented. Shown here: Andy Kelly Gypsy Jazz (at J. Allen’s). Banulis and Miller jazz duo (Panchos). John Kozinski guitar duo (Patrick’s). Mary Ann Palermo and First Take (The Rainbow). Sarah Clay (Mission). Did you miss this year’s Jazz Prodigy concert during the Pittsfield CityJAZZ Festival? Just in case you did, or want to revisit it, here’s a sample, a unique treatment of “Stella By Starlight,” featuring Caelan Cardello. A product of Jazz House Kids, the renowned after-school music program in Newark, New Jersey, Caelan’s trio performed their maiden gig on Oct. 11, at the Berkshire Athenaeum. Watch him! Saturday, August 26, 3:00pm-8:00pm the HOT SUMMER SWING BASH (rocks and) rolls into Ski Butternut in Great Barrington. 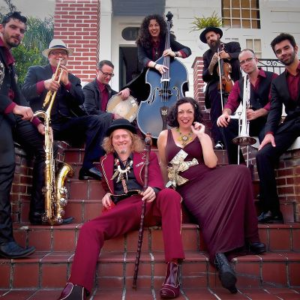 There’s some great jazz and swing music in store, including the Squirrel Nut Zippers, local bands, and a discount on tickets, to boot. The sponsors, Berkshire Bash, are offering an exclusive, special discount offer for friends of Berkshires Jazz that is also a fund-raiser for us. Your ticket is just $30 ($10 off per ticket, which is normally $40), and $5 of that ticket goes directly to Berkshires Jazz. When purchasing your ticket, use code: JAZZ and Berkshire Bash remits $5 per ticket to us! The day-long festival features national headliner SQUIRREL NUT ZIPPERS, and local favorites THE LUCKY 5 and BLUE LIGHT TRIO. This family-friendly, fun-filled day also includes ROGER THE JESTER and more kids activities courtesy of United Cerebral Palsy of Berkshire County. Squirrel Nut Zippers’ music is a high-energy fusion of Delta blues, gypsy jazz, 1930s era swing, klezmer and other styles. Originally formed in 1993 in Chapel Hill, their one-of-a-kind sound ranges in influence from Harlem Hot Music to the sounds of Cab Calloway, Johnny Ace, Raymond Scott, Fats Waller, and Django Reinhardt. Food options include delicious Indian cuisine from Chef Express, SoCo Creamery, and beer & wine from Lefty’s Brewing. Bring a blanket, a picnic and the whole family!